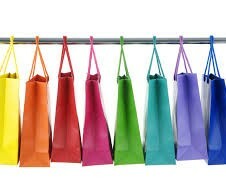 Want to raise money for pro-LGBT causes every time you shop? There’s a credit card for that. Philanthropy Ventures LLC has launched the new EqualityCard, a credit card start-up designed to raise funds for LGBT non-profit organizations all over the nation. Individuals and businesses will generate tax-deductible donations that equal 1 percent of their purchases with the card that are donated to select LGBT charities of their own choosing, at no cost to them. New cardholders can look over affiliates and choose up to three to which their donations will be directed, Affiliates include Immigration Equality, Athlete Ally, The New York City Anti-Violence Project, Campus Pride, PFLAG, the Matthew Shepard Foundation, the NYC LGBT Center, The Transgender Law Center, Family Equality Council and The Pride Network. It is expected that dozens of additional nonprofits will sign on during EqualityCard’s first year. Posted March 1st, 2014 & filed under Money.